When he was only 10 years old, Tennessee Titans center Ben Jones experienced tragedy that no boy ever should have to endure. Ben’s father was killed in a helicopter crash. Steve Jones, Ben’s dad, worked as a forester in Brent, Ala., and was traveling on a helicopter inspecting timber when his aircraft went down. The crash killed both Steve and the pilot. 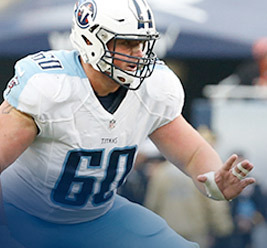 To read all of Wyatt’s story, go to: Titans Center Ben Jones Gives Back.